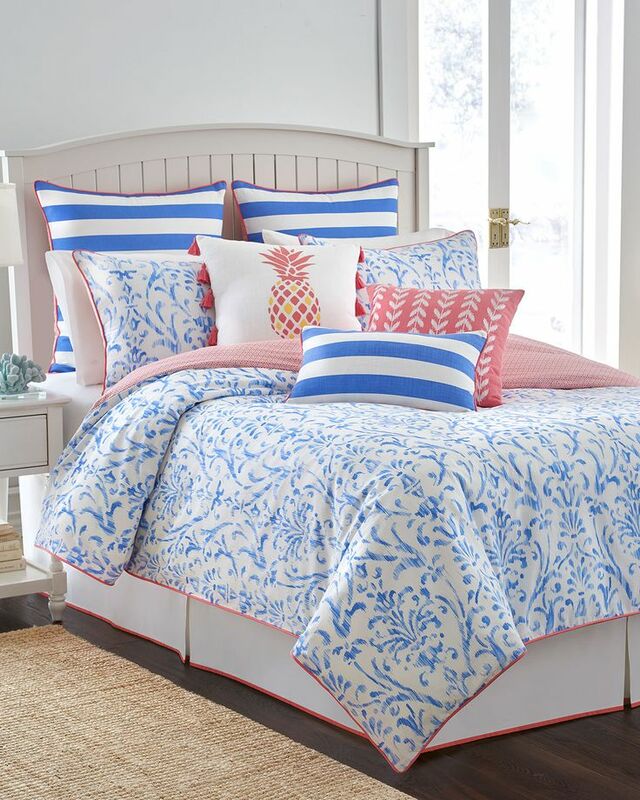 This Westpoint Home Coastal Ikat Bedding features a blue ikat print and coral accents. Made of cotton. Three-piece comforter set includes comforter and two shams. $40-$230. Free shipping. Buy here.